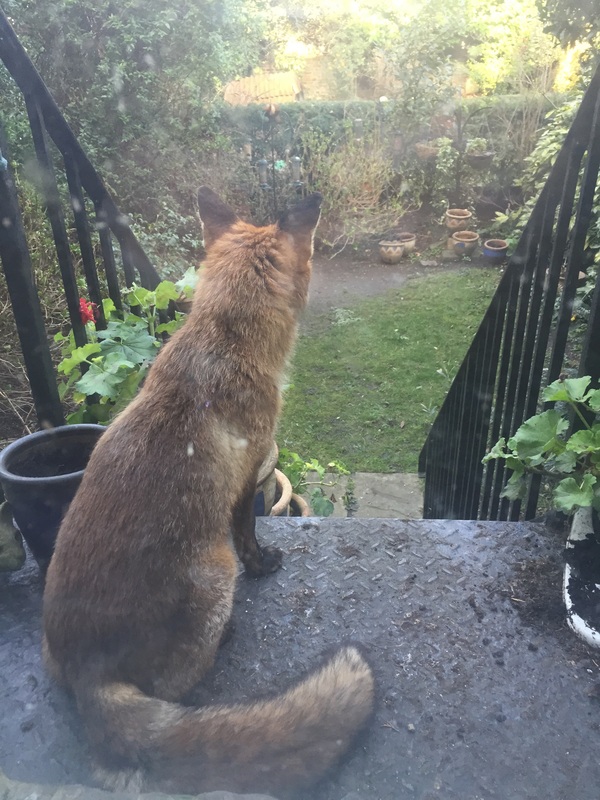 ‘Having seen the fox on your site I just wanted to share these pictures with you. 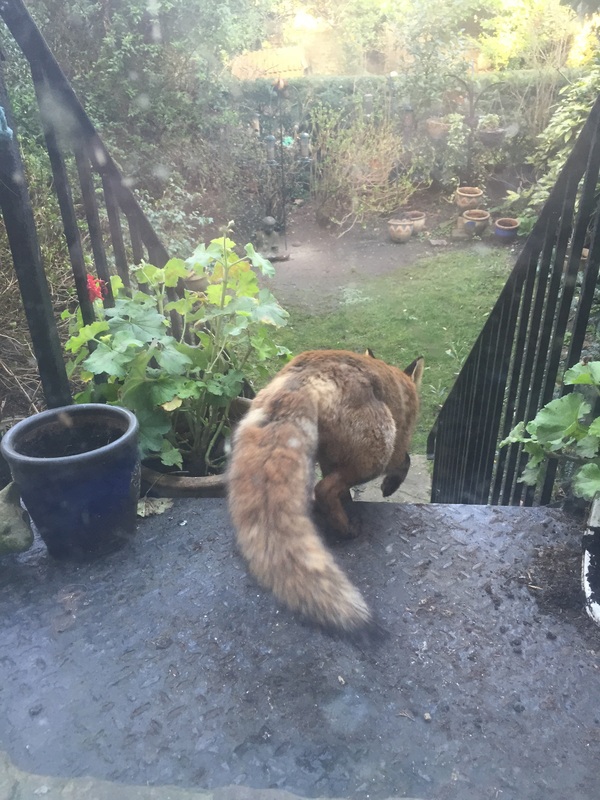 Where I now live in London we have two resident foxes who have their Earth underneath next door’s decking. 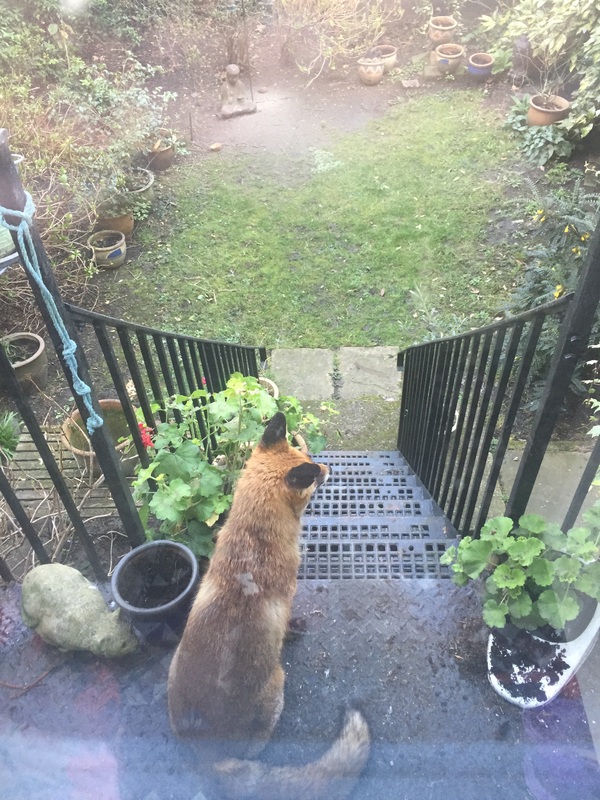 I woke last week to see one sat at the top of our steps, which is strange as there’s nothing up here except the door to our kitchen! 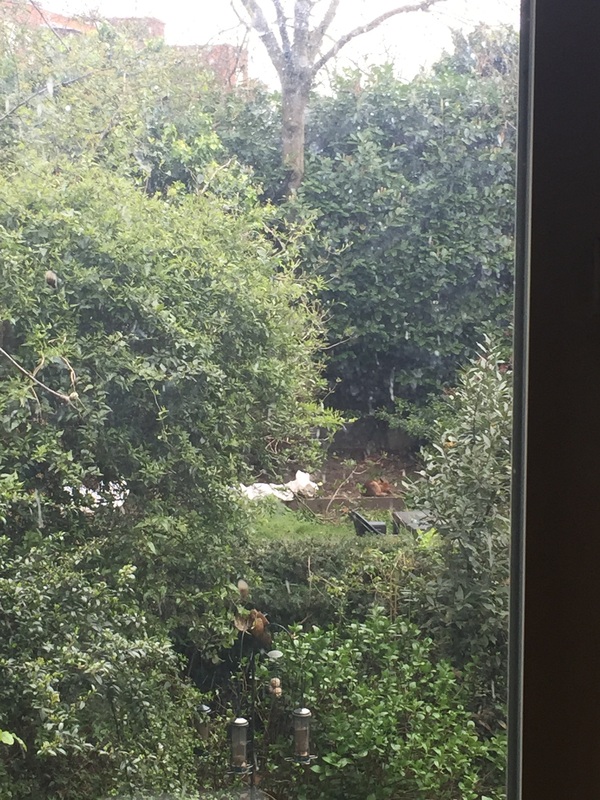 Maybe just a good vantage point over the garden. I responded that I think all will be well and it is still early to see the cubs out and about. 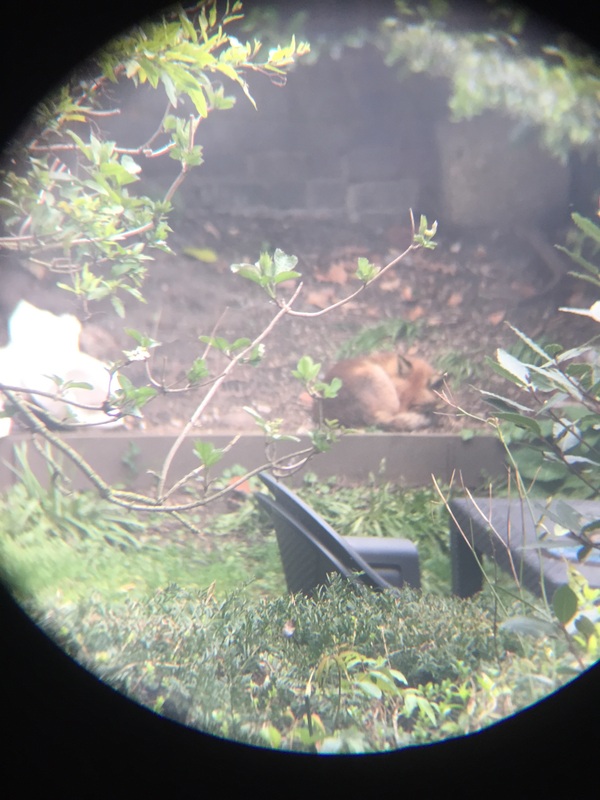 It is great that these foxes have found refuge in a safe garden, I hope they do have some Cubs later.